Showing results by author "Alexander Fleming"
Sir Alexander Fleming (August 6, 1881 - March 11, 1955) was a Scottish biologist, pharmacologist and botanist. He wrote many articles on bacteriology, immunology, and chemotherapy. His best-known discoveries are the enzyme substance lysozyme in 1923, and the anitbiotic substance penicillin from the mould Penicillium notatum in 1928, for which he shared the Nobel Prize in Physiology or Medicine in 1945 with Howard Florey and Ernst Boris Chain. 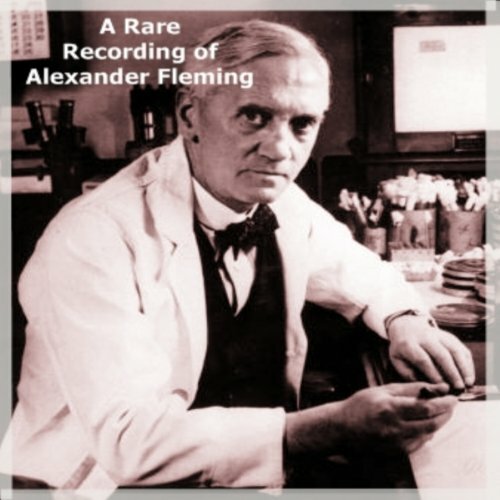 This audiobook is from a 1950 talk he gave on the development of antibiotics.